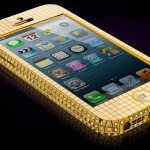 It’s not the first time we’ve come across Gold and Diamond studded super-expensive iPhone 5. 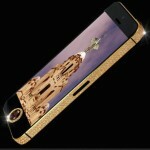 Of late Goldgenie has launched two lurxurious variations of iPhone 5 – Gold Superstar iPhone 5 which has 200 grams of 18K Gold, Gold Superstar Ice iPhone 5 with 364 diamonds of about 5.5 carats in total. 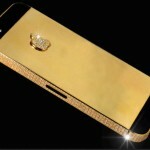 The gold version comes with hefty price tag of £48,000 while the diamond studded version comes at higher price of £68,000. 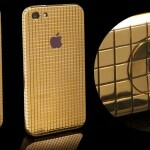 The look of the two phones will amaze you, especially the diamond studded variant. 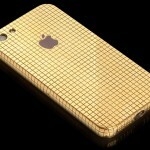 In interests of consumers, Goldgenie is also promising it will let its customer update to newer models of iPhone when available, although it’s not yet manifest as such an upgrade will cost certain fee or extra charges, whatsoever – but it’s certainly good news and appealing offer as this would let consumers be on the edge of technology as well as luxury. 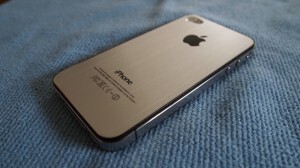 The package consists of wooden oak box with handset, charger, earpods, and certificate of authentication inside. 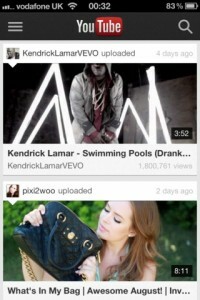 Click on any of these images to view them in larger size. 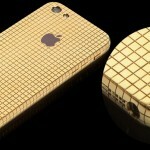 If this iPhone 5 variant by Goldgenie looks cheap to you, well, you can try Stuart Hughes built iPhone 5 which costs £10 million (about $15.3 million). Stuart Hughes is jweller from Liverpool. 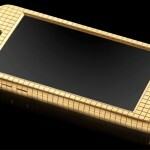 The exterior casing of the handset is made of 24 carat gold while the homd button is made of 26 carat black diamond. 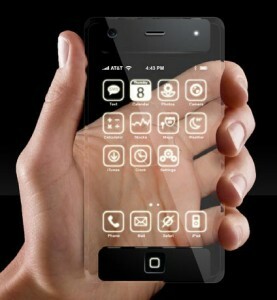 The Apple Logo consists of white diamond and so do the corners of this iPhone. 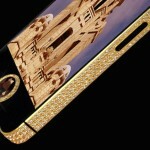 This smartphone is embedded with 600 precious stones. 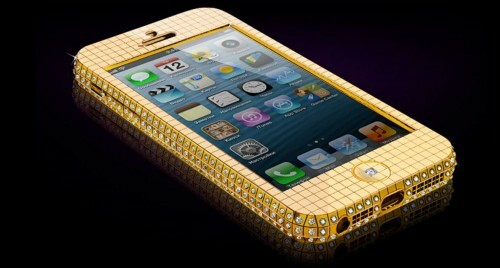 This particular custom-made iPhone 5 variant is the world’s most expensive smartphone. 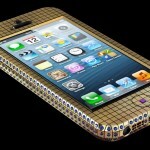 However simpler alternatives are available costing lesser.